The Social Science team at the University of St Mark & St John have a broad range of experiences in the fields of criminology, broadcasting and performance. This event drew on these experiences to engage young people (year 9) to look at and investigate crime from a variety of angles and perspectives, including; psychology and crime, crime on a global field, the media, conflict resolution, mental health, the arts and science. During the event, interactive sessions were provided by a team of social science researchers and students designed to stimulate problem solving and discussion. 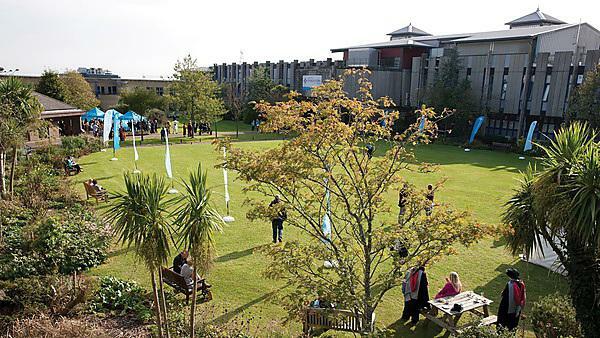 The interactive day utilised the space in and around the campus, from outside areas to the radio suite, from the performance areas to psychology and crime labs. In the afternoon the young people were supported in presenting their findings through the production of an artefact. This event was led by Dr Hazel Bending, with the team of social science researchers, Sarah McAdam, Jo Trelfa, Dr Sue Wayman, Christine Smith, Jan Gourd and Associate Professor Lystra Hagley-Dickinson, and their undergraduate students studying education, welfare, criminology and media. Hazel is a senior lecturer in psychology in the Faculty of Education and Social Sciences at the University of St Mark & St John. Her research has focused on the use of technology within the classroom and how to motivate and engage students in reflection, critical thinking and problem solving. Led by a team of social science researchers, this event was part of the University of Plymouth's contribution to the Festival of Social Science.